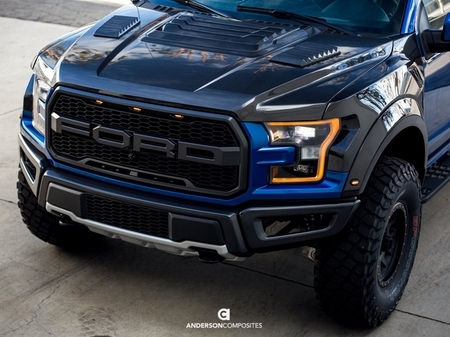 Anderson Composites makes it easy to upgrade your 2017-2018 Ford F-150 Raptor truck with this Type-OE Carbon Fiber Hood w/ Vent AC-HD17FDRA. Getting your 2017-2018 to look better isn't easy. 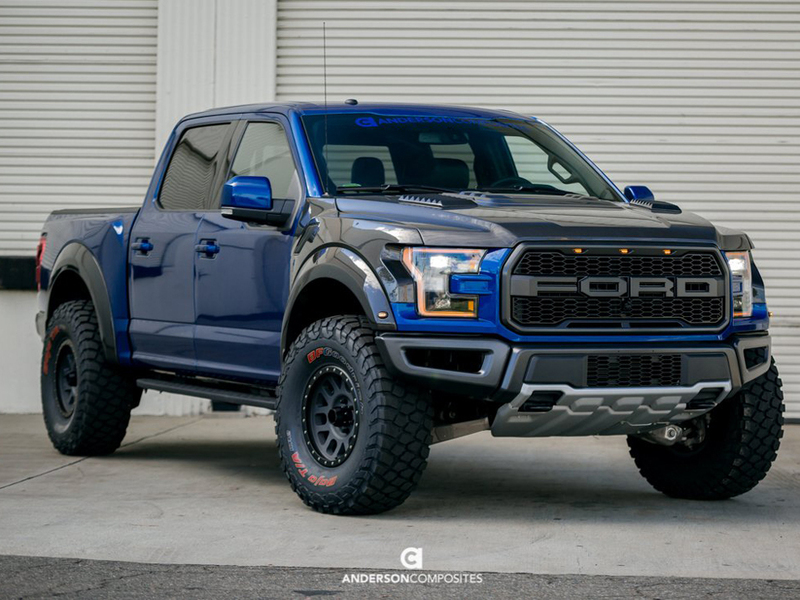 The original OEM design on the Vented Hood is one of the most aggressive designs in any truck, so why not make a carbon fiber that is light weight and durable? 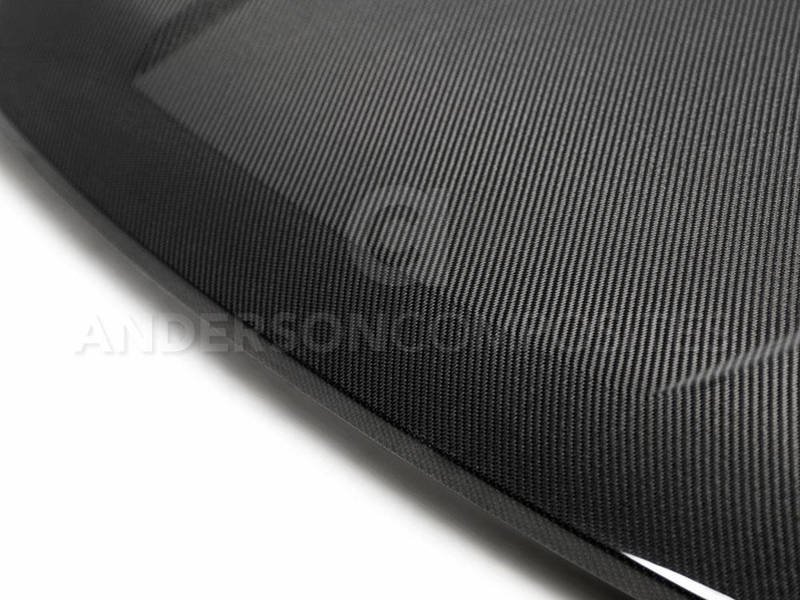 This best in show aftermarket hood is made with manufactured �gWet�h using 3K, 2�~2 Twill Weave Carbon Fiber and Anderson Composites proprietary vacuum infusion process. 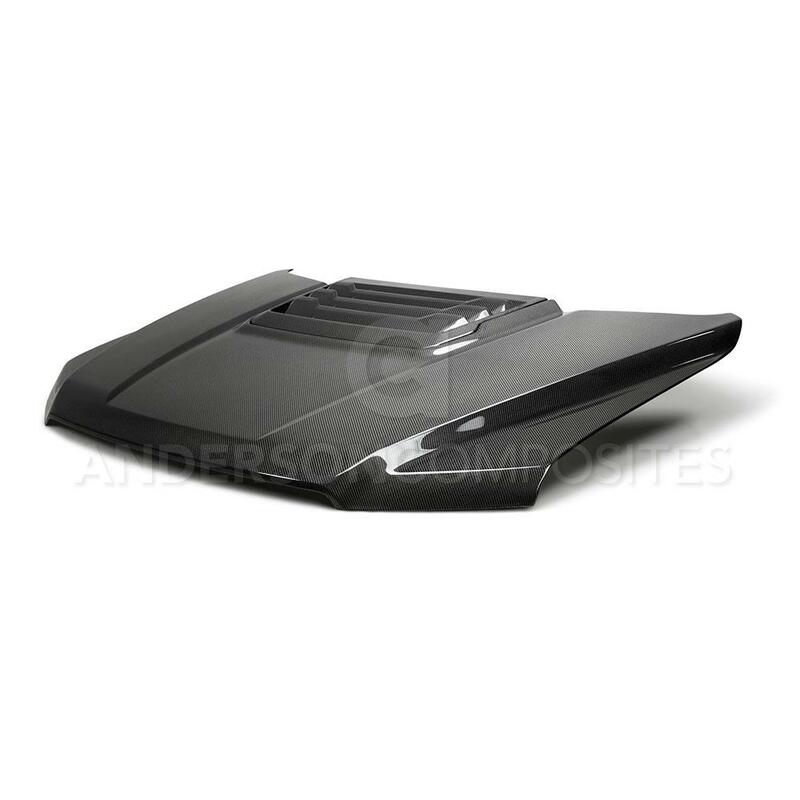 The industry calls this process �gWet�h because the resin is introduced into the mold as a liquid; this process produces a high gloss, wet-look shiny finish. 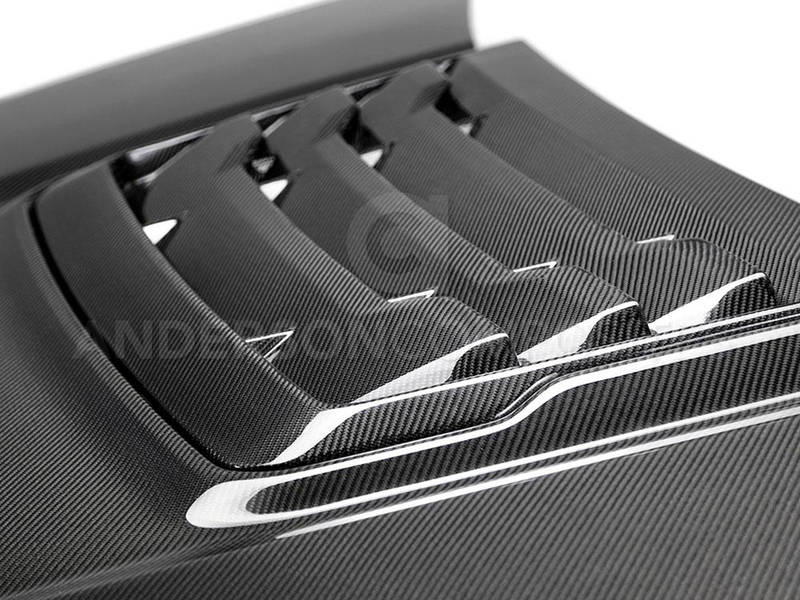 It is highly recommended to use an automotive clear with UV inhibitors to prolong the life and finish of the product. 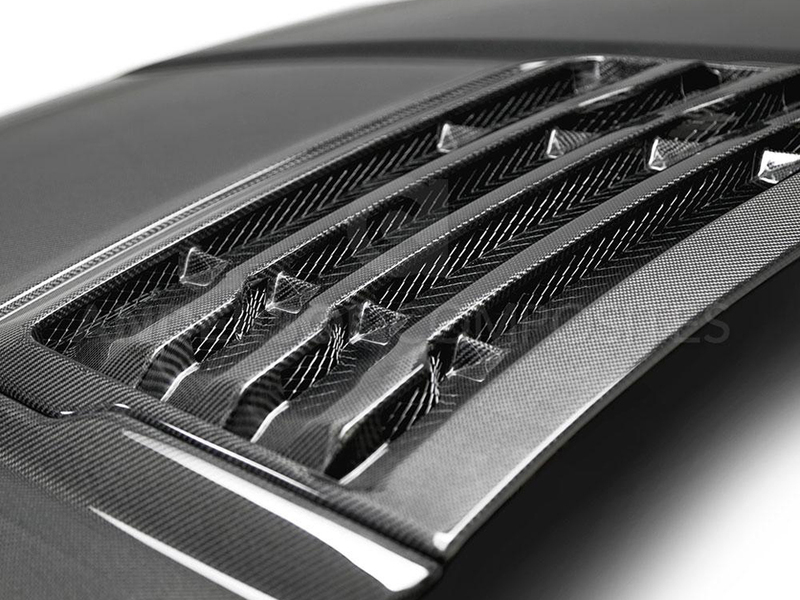 The underside of the hood is finished in a black fiberglass "skeleton" bonded to underside of carbon fiber hood for added strength and support. Due to large number of requests, production time is currently at 8 weeks.